Andrea Bocelli, OMRI, OMDSM is an Italian singer, songwriter, and record producer. Celine Dion has said that "if God would have a singing voice, he must sound a lot like Andrea Bocelli," and David Foster, a record producer, often describes Bocelli's voice as the most beautiful in the world. Humberto Gatica is a Chilean-born American record producer, music mixer, audio engineer and a long-time collaborator with producer David Foster. He is a 16-time Grammy Award Winner. 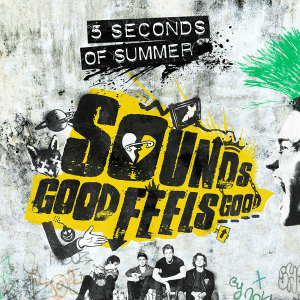 Sounds Good Feels Good is the second studio album by Australian pop rock band 5 Seconds of Summer. It was released on 23 October 2015 through the labels Hi or Hey and Capitol Records. In support of the album, the band embarked on the Sounds Live Feels Live World Tour. 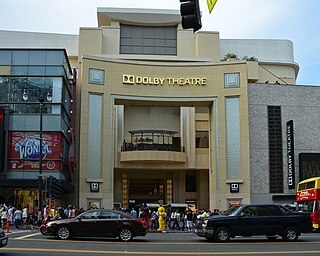 The Dolby Theatre is a live-performance auditorium in the Hollywood and Highland Center shopping mall and entertainment complex, on Hollywood Boulevard and Highland Avenue, in the Hollywood district of Los Angeles. Since its opening on November 9, 2001, the theater has been the venue of the annual Academy Awards ceremony. 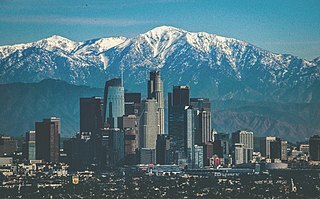 It is adjacent to the Grauman's Chinese Theatre and the El Capitan Theatre nearby on Hollywood Boulevard. Sogno is the fifth studio album by Italian tenor Andrea Bocelli. Bocelli is the second studio album by Andrea Bocelli, released in 1995 on the Polydor GmbH label. These Are Special Times is the sixth English-language studio album and the first English-language Christmas album by Canadian singer Celine Dion. Released by Sony Music Entertainment on 30 October 1998, it features cover versions of popular Christmas tunes and original material. Dion worked with David Foster and Ric Wake, who produced most of the tracks for the album. Other producers include R. Kelly and Bryan Adams. Critics praised Dion's commitment to the recorded material, as well as the production of the songs. 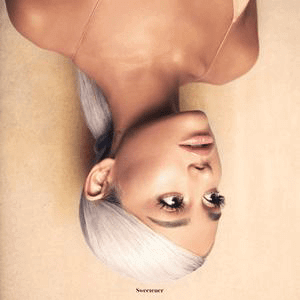 Partners is the thirty-fourth studio album by American singer and songwriter Barbra Streisand, released on September 16, 2014 by Columbia Records. The album features Streisand singing duets with an all-male lineup including Stevie Wonder, Michael Bublé, Billy Joel, John Legend, John Mayer, Andrea Bocelli, Lionel Richie, and, from an earlier recording, Elvis Presley. The collection also features Streisand's first studio-recorded duet with her now 47-year-old son, Jason Gould. The album release was promoted on The Tonight Show, where Streisand was the evening's sole guest and sang a medley with host Jimmy Fallon. ↑ "Listen to Andrea Bocelli and Ariana Grande's duet "E più ti penso" from "Once Upon A Time in America / Malena"". Getmusicasia.com. September 26, 2015. Retrieved October 8, 2015. ↑ Presenting The New Video of Gladiator Archived 2015-09-30 at the Wayback Machine . ↑ Cobo, Leila (21 September 2016). "Latin Grammys 2016 Nominations: See the Full List". Billboard. Retrieved 21 September 2016. ↑ Unterberger, Andrew (6 December 2016). "Here Is the Complete List of Nominees for the 2017 Grammys". Billboard . Retrieved 6 December 2016. ↑ Deluxe Edition on iTunes Archived 2015-10-03 at the Wayback Machine. ↑ "Australiancharts.com – Andrea Bocelli – Cinema". Hung Medien. Retrieved 31 October 2015. ↑ "Austriancharts.at – Andrea Bocelli – Cinema" (in German). Hung Medien. Retrieved 4 November 2015. ↑ "Ultratop.be – Andrea Bocelli – Cinema" (in Dutch). Hung Medien. Retrieved 31 October 2015. ↑ "Ultratop.be – Andrea Bocelli – Cinema" (in French). Hung Medien. Retrieved 31 October 2015. ↑ "Andrea Bocelli Chart History (Canadian Albums)". Billboard. Retrieved 10 November 2015. ↑ "Danishcharts.dk – Andrea Bocelli – Cinema". Hung Medien. Retrieved 9 December 2015. ↑ "Dutchcharts.nl – Andrea Bocelli – Cinema" (in Dutch). Hung Medien. Retrieved 31 October 2015. ↑ "Andrea Bocelli: Cinema" (in Finnish). Musiikkituottajat – IFPI Finland. Retrieved 8 November 2015. ↑ "Lescharts.com – Andrea Bocelli – Cinema". Hung Medien. Retrieved 5 November 2015. 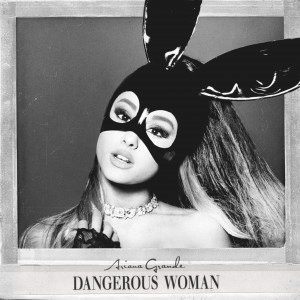 ↑ "Top 40 album DVD és válogatáslemez-lista – 2015. 50. hét" (in Hungarian). MAHASZ. Retrieved 17 December 2015. 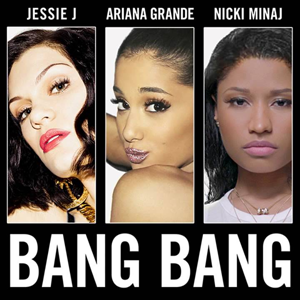 ↑ "GFK Chart-Track Albums: Week 44, 2015". Chart-Track. IRMA. Retrieved 31 October 2015. ↑ "Italiancharts.com – Andrea Bocelli – Cinema". Hung Medien. Retrieved 30 October 2015. ↑ "Charts.org.nz – Andrea Bocelli – Cinema". Hung Medien. Retrieved 30 October 2015. ↑ "Norwegiancharts.com – Andrea Bocelli – Cinema". Hung Medien. Retrieved 25 November 2015. ↑ "Oficjalna lista sprzedaży :: OLiS - Official Retail Sales Chart". OLiS. Polish Society of the Phonographic Industry. Retrieved 10 November 2016. ↑ "Portuguesecharts.com – Andrea Bocelli – Cinema". Hung Medien. Retrieved 5 November 2015. ↑ "Official Scottish Albums Chart Top 100". Official Charts Company. Retrieved 31 October 2015. ↑ "Spanishcharts.com – Andrea Bocelli – Cinema". Hung Medien. Retrieved 10 November 2015. ↑ "Swisscharts.com – Andrea Bocelli – Cinema". Hung Medien. Retrieved 4 November 2015. ↑ "Western Weekly Top 20: 2015/10/23 - 2015/10/29" (in Chinese). G-Music. October 23, 2015. Archived from the original on February 8, 2016. Retrieved October 23, 2015. ↑ "Official Albums Chart Top 100". Official Charts Company. Retrieved 31 October 2015. ↑ "Andrea Bocelli Chart History (Billboard 200)". Billboard. Retrieved 4 November 2015. ↑ "Andrea Bocelli Chart History (Top Classical Albums)". Billboard. Retrieved 4 November 2015. ↑ "Andrea Bocelli Chart History (Top Latin Albums)". Billboard. Retrieved 4 November 2015. ↑ "Top of the Music - FIMI/GfK: Le uniche classifiche annuali complete" (in Italian). Federazione Industria Musicale Italiana . Retrieved January 29, 2017. ↑ "W 2016 roku najlepiej sprzedającym się albumem było "Życie po śmierci" O.S.T.R." 2016. Retrieved 14 January 2016. ↑ "Canadian album certifications – Andrea Bocelli – Cinema". Music Canada . Retrieved December 21, 2015. ↑ "Adatbázis – Arany- és platinalemezek – 2015" (in Hungarian). MAHASZ . Retrieved 5 December 2018. ↑ "Italian album certifications – Andrea Bocelli – Cinema" (in Italian). Federazione Industria Musicale Italiana . Retrieved May 3, 2016. ↑ "Polish album certifications – Andrea Bocelli – Cinema" (in Polish). Polish Society of the Phonographic Industry. ↑ "British album certifications – Andrea Bocelli – Cinema". British Phonographic Industry. Select albums in the Format field. Select Gold in the Certification field. Type Cinema in the "Search BPI Awards" field and then press Enter. ↑ Paine, Andre (31 October 2018). "'This is a very important album': Team Bocelli on the tenor's big comeback". Music Week. Retrieved 3 November 2018.